Miami Dade College was first accredited by SACSCOC in the 1960s and celebrates the opportunity to continually engage its students, faculty, staff and administrators in a comprehensive self-study focused on institutional effectiveness and quality enhancement. Like many institutions of higher learning, Miami Dade College is accredited to award a variety of degrees, however, it is important to note that not all accreditations are created equal. There are many kinds of accreditation, with the two most common types being national and regional. National accreditation generally focuses on particular kinds of institutions, like trades schools and religious colleges. As such credits earned at a nationally accredited school often cannot be transferred to other institutions. 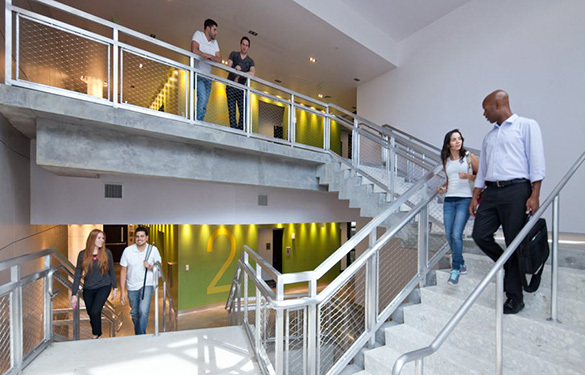 Miami Dade College is regionally accredited by the Southern Association of Colleges and Schools Commission on Colleges and meets the educational standards of the Department of Education, just like many of the nation’s most respected universities and colleges. Credits you earn are more easily transferred to other institutions, allowing you to continue your education and pursue advanced degrees at prestigious colleges and state schools across the nation. Miami Dade College is accredited by the Southern Association of Colleges and Schools Commission on Colleges to award associate and baccalaureate degrees. Contact the Commission on Colleges at 1866 Southern Lane, Decatur, Georgia 30033-4097 or call (404) 679-4500 for questions about the accreditation of Miami Dade College. The Commission’s contact information is provided to enable interested constituents to (1) learn about the accreditation status of the institution, (2) file a third-party comment at the time of the institution’s decennial review, or (3) file a complaint against the institution for alleged non-compliance with a standard or requirement. Normal inquiries about the College, such as admission requirements, financial aid, educational programs, etc., should be addressed directly to the appropriate department at the College and not to the Commission’s office. For information about the Southern Association of Colleges and Schools, Commission on Colleges, or the accreditation process, visit the SACSCOC web site. SACSCOC reaffirmed MDC’s accreditation on June 11, 2015. The College maintains the standards specified by SACSCOC’s Principles of Accreditation and notifies SACSCOC of any substantive change. The Quality Enhancement Plan is a five-year project meant to enhance our students' workforce readiness through the skill of writing.